the woodshed: why is this man smiling? 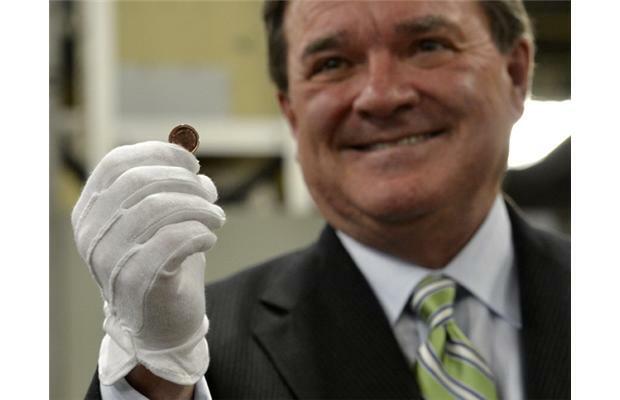 This photo of Finance Minister Jim Flaherty with Canada's last penny cost taxpayers $56,000. That is more than many rank and file public servants make in a year. That is the annual salary of a nurse or government clerk or soldier. So, the next time you get pissed off about how long you had to wait to get get your tax refund or passport processed, or why the hospital emergency room is closed on Sunday or why your friend got laid off from their government job, just remember that this is how the party of fiscal responsibility spends your money on themselves.